Few races hold a special place in my heart like the Color Run does. (I’ve now come to terms with using the American spelling, in the name of branding). It was so exciting when it first came to Brighton – I hadn’t seen anything like this before. It was also the same weekend that I became a duathlete, in the September of my first year writing this blog, when I was still figuring out how to sort my knees out and run faster and further, and still firmly in love with bootcamp (2013, if you’re wondering). The Color Run, presented by Skittles, is hailed the ‘happiest 5k on the planet’. I’ve said it before, here, and here, in fact, and I’ll say it again: It really is true. It’s refreshing, and fun, and silly, and awesome. It encapsulates everything that’s brilliant about running. It’s basically a big colourful rave, where everyone’s invited, whatever your ability. 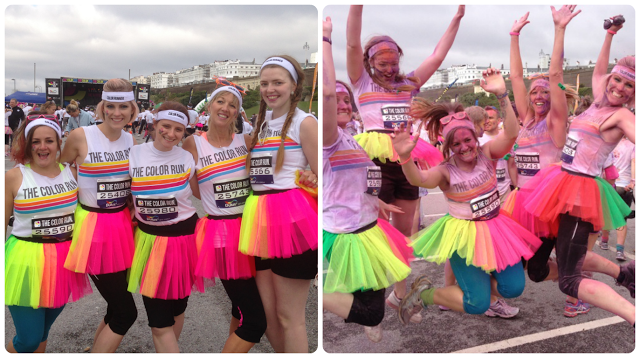 You’ll see families running together, people dressed up, and a hoard of big kids (otherwise known as adults) coming together to jump around like lunatics at the colour stations. 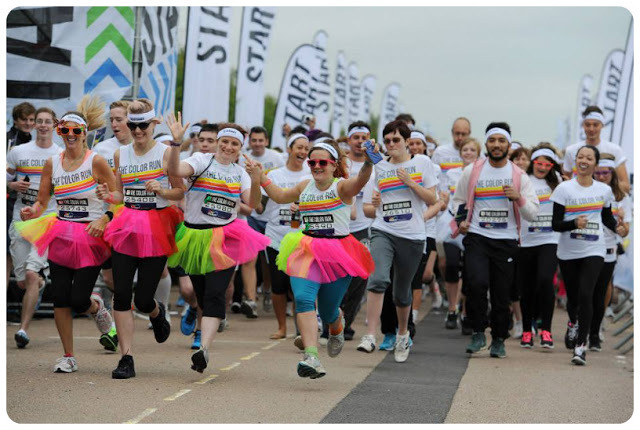 Get your sweatbands and tutus at the ready – I’ve teamed up with Skittles to offer two winners and their friends the chance to take part in the original, happiest and most colourful fun run, The Color Run, on Saturday 17th September in Brighton. Winners will also receive a Skittles hoodie. What is your favourite flavour Skittle and why? (Mine are the purple and red ones, because I’m a sucker for red and purple sweets). If the joys of Brighton beach don’t quite cut it, how about jetting off to Los Angeles to take part in the happiest 5K there then? Thanks to Skittles, you and a friend could win the chance to stay at one of LA’s top hotels for five nights and get to see the sights in your own retro convertible car for a day. This wicked prize also includes two tickets to a fun-filled night at The Comedy Store or tickets to the colourful Getty Museum, plus $400 to help with some retail therapy. 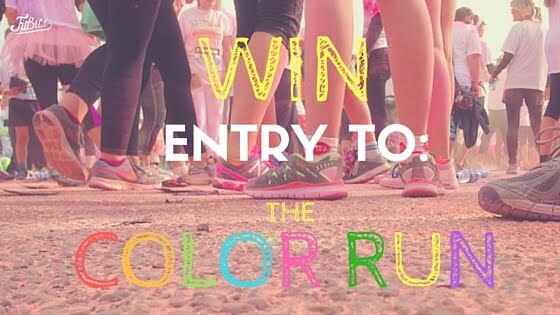 To be in with a chance of winning, head over to the Skittles Facebook page and leave a comment on the competition post, telling Skittles who you’d take to the Color Run and why, using #RunTheRainbow. The LA competition opened on 09.03.2016 and closes at midnight on 30.09.2016. It is open to UK residents (England, Scotland, Northern Ireland and Wales) aged 18 and over. Terms and conditions apply – visit www.wrigley.com/uk for full details. To win entry for you and a friend to Brighton Color Run on September 17, tell me which is your favourite flavour Skittle and why!